Snapchat isn?t a resource many turn to for weather and sports scores, but it?s spending increasing amounts of money on licensing deals to give users such information. For Snapchat, the intention isn?t so much about helping people figure out how to dress that day or how their favorite team is doing. Rather, Snapchat?s aim is more interpersonal: It?s loading up on real-time data from third parties so people can provide more context about their lives to friends. That selfie of you sweating means more when people can see the temperature is a verifiable 103 degrees. That video of a home run carries more weight when an animated scoreboard shows it put the team ahead. It?s unclear how much Snapchat maker Snap Inc. pays for data about forecasts and sports, from high school to professional leagues, because it doesn?t break down content-creation costs, the likely spending category in the company?s financial statement. But conversations with data providers suggest that the deals are in line with industry norms and that they are getting more pricey as they?re expanded. Michael Pachter, managing director of stock research at Wedbush Securities, estimated that the weather data cost Snap at most about $48 million a year based on assumptions of a 25-cent-per-user monthly fee and usage by 10 percent of people on Snapchat. Another analyst put the cost closer to $10 million. 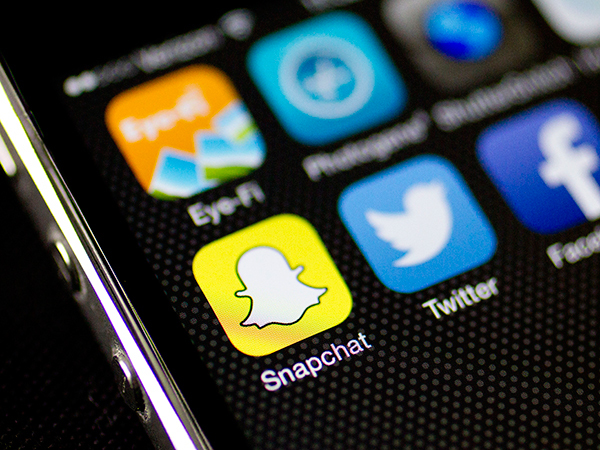 The most pressing question for Snap is whether it can continue to grow the information repertoire quickly and affordably as competitors such as Instagram race to catch up. Snap has marketed itself to investors by saying its assortment of new features will be unmatched and that a low expense base puts it on a path toward profitability. Data providers view their relationship with Snap as just the start ? both in terms of what?s possible for integration with Snapchat and with regards to the potential for similar deals on other social media services. ?Because of the influence a Snapchat has, you can think through the who?s who of tech, and they are all paying attention,? said Greg Kirkorsky, executive vice president of global sales and marketing at Chicago firm Stats. Nearly four years ago, Snap became the first social media app to offer digital filters that stamped a photo or video on its service with the time, temperature or speed of travel. Since then, the Los Angeles company has added data options from providers including Weather Co., Factual, Stats, ScoreStream and Uber. Domenic Venuto, who oversees Weather Channel apps and Weather Co.?s consumer partnerships, said he couldn?t resist the opportunity to connect with Snapchat?s young audience when Snap reached out. ?Engagement is great,? said Venuto, who also has done deals with Google and Facebook. Depending on factors such as location and time, Snapchat users can decorate their images with multi-day forecasts, expected arrival times during Uber trips and the score of a sports event they?re attending. Speed and altitude geofilters are based on analysis of data from smartphone sensors as opposed to third-party resources. During last year?s presidential election, Snap pulled Associated Press data to show information about polling and other campaign-related information. Snap says the deals make sense because such dynamic geofilters, as the company calls them, are more heavily used when they are available than more basic geofilters that change the background color or add a cutesy location tag. The company contends that by providing timely geofilters, it creates a more personalized experience for users. Those custom offerings get people more excited about expressing themselves through Snapchat, the thinking goes. Dynamic geofilters are still overshadowed by basic geofilters, which often identify landmarks, towns and events. About 95 percent of geofilters available were created by users, as opposed to the auto-generated dynamic filters. More recently, Snapchat introduced bitmoji-based filters that change by the time of day and day of week. But altogether, about 1.5 million geofilters are seen every minute on Snapchat, which represents double the viewership from the beginning of the year. The 2-year-old deal with Stats took Snapchat filters to a new level, giving fans the ability to adorn photos with an up-to-the-minute virtual scoreboard. Once shared with friends, the score on the photo remains static. First launched for NBA and Major League Baseball, scores were seen almost 400,000 times a game in the first week. Stats? Kirkorsky said Snapchat does have room to be an informational resource for sports, and he expects Snap to license scores for international sports such as cricket while getting more detailed statistics for NFL, MLB and other U.S. sports. He described such licensing deals as a ?sizable part? of Stats? sales. ?Partners like Snap would not continue to invest if they were not meeting objectives,? Kirkorsky said. He bets that Snap will open up access so that fans watching a game at the stadium aren?t the only ones who can add a virtual scoreboard. ?It?s cool they are putting publishing tools in the hands of consumers,? Kirkorsky said.